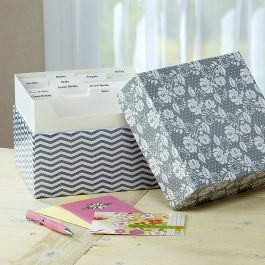 Chic 9" x 9-1/2" wide x 7" tall box holds 140+ cards. With 12 dividers and 24 self-stick labels. Cards not included. 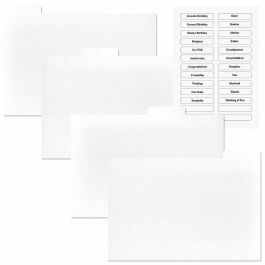 Refill set for greeting card organizer| boxes 12 dividers and 24 labels.